Of the many haunted attractions this Halloween, Woods of Terror and Hacker House are the best. At Woods of Terror, on Church Street in Greensboro, guests walk through an old junk yard that is home to restless and enraged spirits left behind after the great depression. Hacker House, in Pilot Mountain, assaults the senses and truly terrifies. Guests first tour the haunted house and then the horrific graveyard outside. “This place is insane. You’re out in the woods so it feels so real, it’s real terror” said a past attendee. Both attractions are featured on Haunted Attractions Magazine’s “25 must see haunts” list and are sure to scare. Some lighter, local Halloween options are Winston ghost tours. Closer to campus is the Winston Salem Ghost Tour; a walking tour of the historic West End District. The tour guides tells jokes, facts about the history of the area, and some truly disturbing true stories. 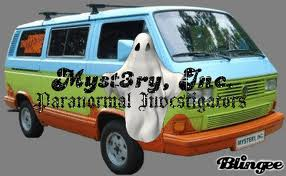 There is also the Myst3ry Inc. ghost tour where the guides drive their passengers all over town in a real life Mystery Machine modeled after the gang’s van from Scooby-doo.